As I grew up I used to be so jealous of women who looked happy and satisfied. I couldn’t understand why I don’t like them, but very soon I realized it is because I would love to be one of them. I wondered how they can radiate joy all the time and after some time I finally realized that all happy woman share some habits. It is impossible to be happy all the time because life brings us many different situations and some of them are painful. But these women are more happy and satisfied and if you wonder why then you are in the right place. Although, there are always some exceptions of the rules. Something I realized is that habits are things we learn and develop from birth and they are a very important tool in our lives. Babies develop habits for sleeping and eating and every parent can understand how important it is for a baby to have a consistent routine. 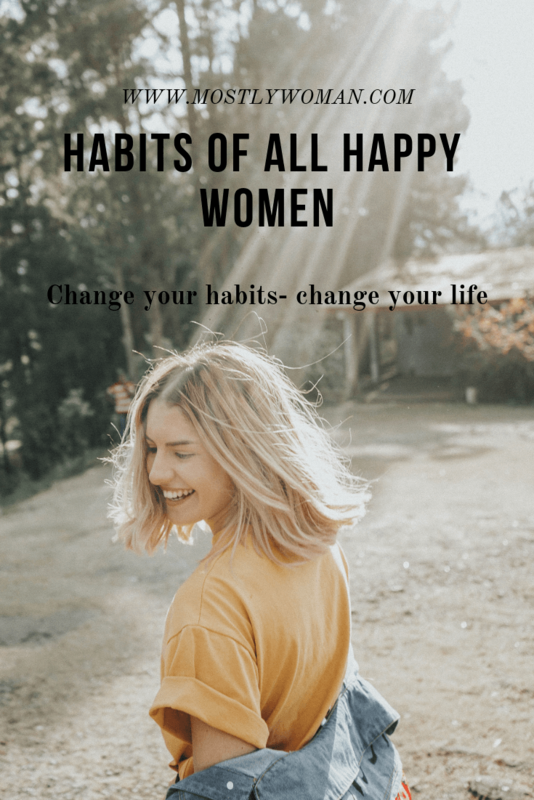 To be honest, I would love to develop all of these happy women habits, because I am impressed with every happy woman I meet. 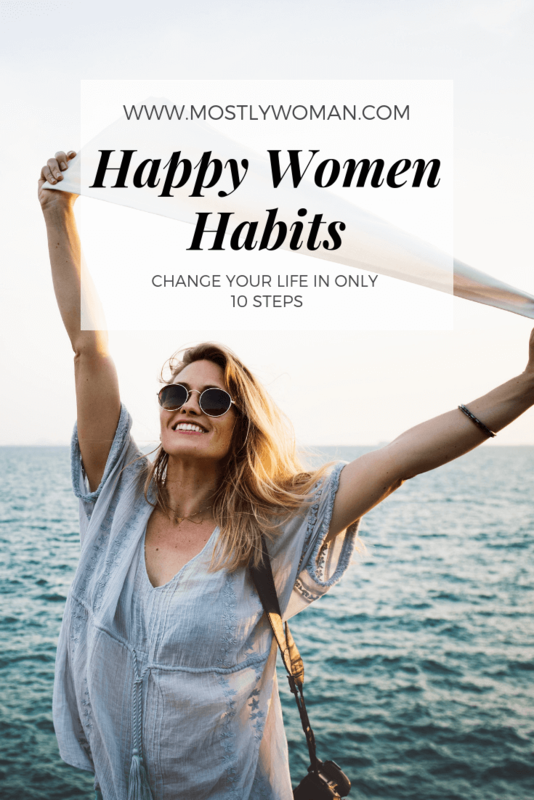 I recently talked with you about The 7 Habit That Changed My Life After Becoming A Mother and while I was writing that post I get the idea that there is something in common with all those happy women. And while I was trying to make a routine for me and my baby, I started implementing some of these habits and made my life happier and more fulfilled. Do you know someone who seems to be almost always happy and satisfied? I know several women and they all have these same habits. I hope you will implement at least some of them and make your life better. If you are interested in learning more about developing habits and how to change your life with them I recommend you to read this wonderful book The Power of Habits by Charles Duhigg, it is definitely life-changing. Life can bring us hard times and it is not always possible to be happy but I do believe that with implementing some habits and hard work everyone can succeed in designing their dream life and the life they deserve. This doesn’t sound like a habit but in real life it is. How? Well, to know your value you must analyze yourself. Happy women are aware of their traits, likes, and dislikes, but most importantly, they know their value. They are self-confident and manage to stay because from time to time they analyze everything. There is no comment that can lower their value and self-confidence because they are perfectly aware. This self-confidence is not temporary. This is the reality. They know they are good and they know that perfect doesn’t exist. They have a mentor and very often it is not only one! Yes, they are not perfect and they are not born with that self-confidence and great attitude they have at the moment. They are not born with that knowledge. And what is the big secret here? Where do they learn all those things? Why do they have that knowledge and unbreakable self-love and confidence? It is because they have a mentor. Their mom, sister, aunt, cousin, friend, teacher, father or any other role model in their life. OK, we are not all born under a lucky star and have someone who can be our mentor in our surrounding. Don’t panic! I am so thankful there are so many mentors and great people out there who share with all of us their experience. One of my first mentors was Paulo Coelho. He gave me “his book of life” (and everyone who read his books). His quotes are always my favorite and they were “responsible” for many decisions I made in the past. Read! Writers, especially motivational writers, and motivational speakers can teach you how to love yourself. They can be your mentor and lead you through life. Happy women aren’t fat or too slim. They aren’t so anxious nor so calm. They are simply natural. Why? It is because they mastered mindfulness and living in the present moment. They practice mindful eating and recognize emotional eating. They are aware of the present moment and know that it is the only moment that exists. They enjoy the present moment, they enjoy food, they enjoy their shower and act like it is their last one. When they dance – they dance! When they eat -they eat! If they cry – they cry! Because they practice mindfulness they are aware of their emotions. But, many people are aware of their emotions too. What is the difference? Well, the difference here is that they are aware of and completely in peace with their emotions. They allow to grieve, to cry, to smile, to be angry. They don’t try to hide their emotions and develop psychosomatic illnesses. To be sad is perfectly normal and people who don’t try to neglect negative emotions and accept them are more satisfied and aware. Happy women know their emotions and their importance. They are aware that they can never escape from their heart! So follow your heart and you will follow happiness! They analyze and are aware of their emotions, likes and dislikes so in order to be happy and live a balanced life they set good boundaries. Setting boundaries are a very important tool for everyone who wants to live a happy life because you will never ever say YES if you don’t want to do something. You will also have a personal space and won’t let anyone disturb it to feel anxious, desperate, tired or stressed. I mentioned several times that there are always some exceptions and these boundaries are not a constant. You will change them every now and then. For example, before becoming a mom, I loved to drink coffee with my friends several times a month and stay late at night. Now? NO! Coffee now lasts no more than an hour, and staying past 7 PM is a big NO for me. You will also change your boundaries but the important thing that happy women have is that they set them. They never make things in order to be liked and accepted. The one thing you should never forget is to always take care of your body and soul. There are two kinds of self-care, one is for the soul and mind, and the second one is for the body. Why self-care is so important and everyone talks about it? Well, ladies, why do you clean the house? Why do you clean the toilet and kitchen so often? A happy woman has a habit and always practice self-care. She is aware that the body is a mirror of the soul. So happy woman also sleep well every night at least 8 hours and never forget to relax and take a few minutes to restart. Good sleep is essential for functioning. Read more about how to sleep better with anxiety here. Check: Why It’s So Hard To Love Yourself? I implemented this habit in my life when my son was a few months old. I was a hot mess and planning everything was essential in order for me and the whole family to survive. Keeping a list of things to do is the best thing that happened to me. Now I don’t need to remember. I don’t need to constantly remember dates and anniversaries, nor groceries or tasks. I write down everything now. Every idea I have, everything I want to learn and make. I have several planners. But you really only need one piece of paper for it. I have a planner on my phone and also use Trello app. There are several free applications which you can download and organize your life or just choose to use a pen and paper. When you plan you don’t forget and happy women know this. They are not obsessed with remembering important deadlines and numbers. Also, they focus on other things and have a good plan for everything in their life. So they know which day is for self-care, which one is for family and friends, etc. Being organized is not living in your comfort zone. Being organized is living wise. There is a trend now, time blocking, and I truly believe that it is a good one. But find a way which is best for you and start to organize everything. As I have mentioned before, happy women are perfectly aware of their emotions – good or bad. They are completely in peace with their emotions and allow themselves to grieve, to cry, to smile, to be angry. They don’t try to hide their emotions nor act as nothing happened. But they do practice positive thinking. Instead of focusing on the things that are bad and they simply can’t do anything right now, they focus on the great things and every positive aspect of their lives. This brings them to practicing gratitude. Yes, they practice gratitude because they know at least 3 big things to be grateful for every day. When you are grateful and positive, everything around you is better. Every one of us has a passion. What is the difference? 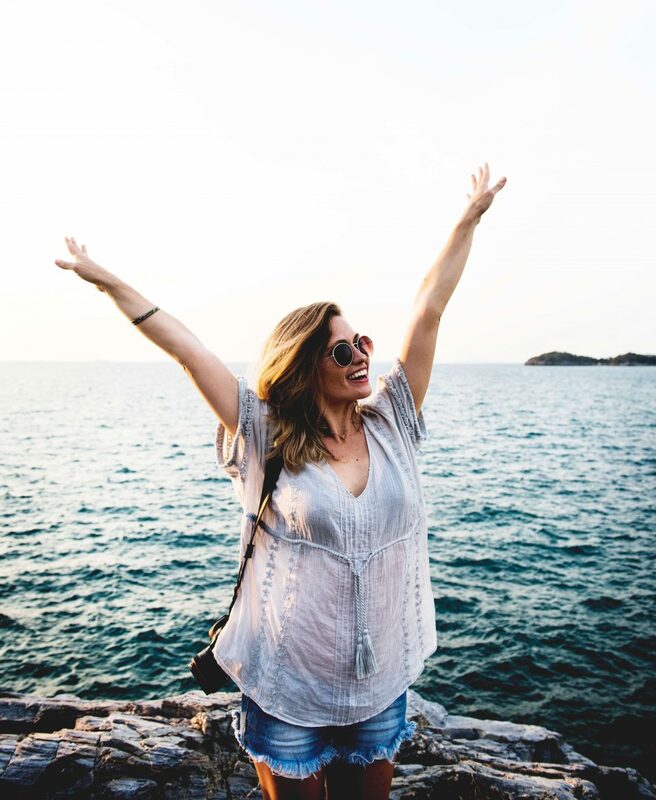 The happy women know their passion and also are perfectly aware that passion is something that can change from time to time, just like their boundaries. If they notice that they are somehow lost and don’t know their purpose in life they seek for help. I really hope you will find your passion in life and become successful. Not knowing what you want can be really hard and frustrating but there are many ways to find your passion and live a happy and fulfilled life. Your life has a purpose and your story is very important. Your passion is the fire that will light your way! This is a habit I recently started to implement in my life. It was hard at the beginning but after a while, when it becomes a habit is very easy. Simply press block and delete! Why happy women stop contact with negative people? Because they know their value and they respect others. If someone doesn’t respect you, why to bother with him? Why welcome negativity in their life and continue to communicate with someone who doesn’t respect you, doesn’t love you and doesn’t want you to succeed in life? Don’t be afraid. There is a quote from Paulo Coelho that opened my eyes. This is true! Just remember how many friends you had from kindergarten until now. How many have you forgotten? It is the same with negative people. Delete them from your life and never turn back unless they change – and everyone can change. What if they are part of your family? Well, at least avoid them. These 10 happy woman habits are something I wish you will implement in your life and start to make progress. But what about you? 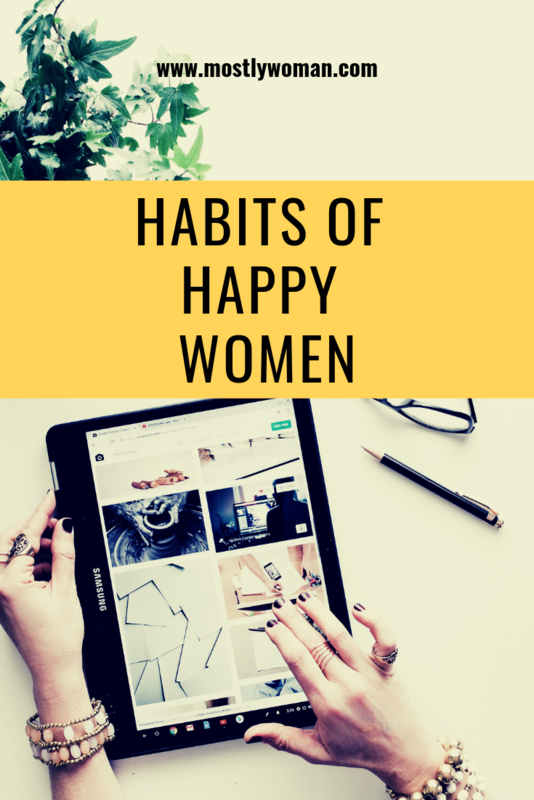 Are there any other important habits that happy women have? I always try to be a happy person, positive thinking and be grateful for what I’ve got but sometimes is so difficult in the world we are surrounded by. Thanks for sharing this 🙂 I will definitely take some of the advice in my everyday life. Awesome info and a very motivating post! Thank you, Tina. I am so glad that this post is motivating to you! Stay positive! These things are all so important to living a happy and healthy life! It can be so easy to get off balance and this post is a great reminder to check these areas of my life! Yes, Katie. I really hope that this post will be a reminder for you. Stay Positive! Very inspiring! All very valid points. Thank you. So many of us struggle to know our worth and set boundaries. I’m just now starting to say no to people and it feels amazing when I do! That is so great. Practice! It can be tricky at the beginning but stick to yourself. Stay positive! Keep your boundaries! These things are so important! Yes, Camille. I wish you happiness! I really loved this post. It’s all so true. During my first two years of college, I didn’t have healthy habits at all. My behavior was very destructive. My life completely shifted once I did adapt habits like these. Being mindful is a big one too, it’s SO important! Great post! These are all so true. The most important one, I think, is practicing positive thinking and being grateful for all that you have without dwelling on what you don’t have. Yes, being grateful is something very important in order to live a happy life. Thank you, Tracy!